Do you give any thought to your central air conditioning before you switch it on that first hot day of the year? Most likely you assume that it will work just fine, as it did the year before. With this type of thinking, you are putting your own comfort at risk. Without any maintenance, your air conditioner is at a higher risk of breaking down. It will also lose efficiency each year that it goes without cleaning and repair. Be prepared for warm weather this year with AC maintenance in Eden. One of the reasons you may forgo regular maintenance for your air conditioner is the cost. In actuality, maintenance plans with most HVAC companies are quite affordable. And they are certainly less expensive than most typical repairs that are required when air conditioners break down. You will also save money on your electric bill with a well-maintained system because it will run more efficiently, using less energy. An air conditioning technician will come to your home to inspect, clean, and repair your central air conditioning. Most have a checklist they follow to make sure they cover every part of your AC and make sure nothing is overlooked. Inspection. The technician will start by inspecting all of the parts of your AC. He will be looking for signs of wear and tear, indicating parts that need to be replaced. He will notice dirt and dust build-up and determine what kind of cleaning is necessary. And he will check electrical wiring and connections to make sure everything is working properly and safely. Cleaning. The technician will give your AC a thorough cleaning, especially the evaporator coil where dirt and dust tend to build up and impede efficiency. Filters will be replaced with new, clean ones. The indoor and outdoor unit will be cleaned and restored to like-new condition. Repair. Any parts that did show signs of wear during the inspection will be repaired or replaced. Electrical wiring is replaced if worn and reconnected if necessary to ensure safe and correct electrical connections. Moving parts are lubricated to prevent wear from abnormal friction. When the tune-up is complete, your cooling system will be running efficiently and be ready to cool your home during the warm weather season. You can expect top performance and fewer break downs (most likely none) leading to AC repair in Eden. In case you’re not already sold on the benefits of AC maintenance in Eden, there are even more benefits to a maintenance plan from Carolina Fuels. Our Comfort and Protection Service Plans include yearly maintenance for your AC and your heating system. You also enjoy discounted AC repairs in Eden, if necessary, priority service, credits toward new equipment, and no emergency or after hours fees. You can also combine discounted propane or heating oil delivery if you have that type of furnace. Carolina Fuels is your all-in-one home comfort service in Eden, NC. Sign up for a plan or call (336) 623-9741 to get started with a Comfort and Protection Service Plan today. 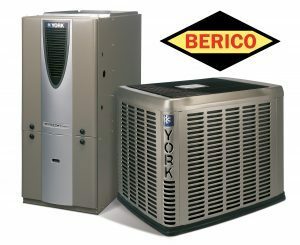 For more information on the benefits of AC maintenance, click here.